This week was a great week for fashion and celebrity stories, from Justin Bieber’s mugshot photo shoot to Vogue releasing the perfect antidote to the Jezebel v Lena Dunham debate, Taste has got all you need for a Saturday culture catch-up. Vogue Editor at Large, Hamish Bowles helps Lena Dunham prepare for her first Vogue shoot in the adorable and quirky vid complete with dance moves. Kanye’s forces Kim to shrink for Vogue? Tipsy Carey Mulligan destroys couture. Inside Whitney Port’s boho chic LA home. Gwen Stefani flaunts her ‘fierce’ baby bump. Justin Bieber arrested for DUI in Miami…and grins in his mugshot. Actress Kristen Wiig teams up with Terry Richardson for the Spring issue of V Magazine. Kim Kardashian shreds her Dior dress to make it a skirt and top. 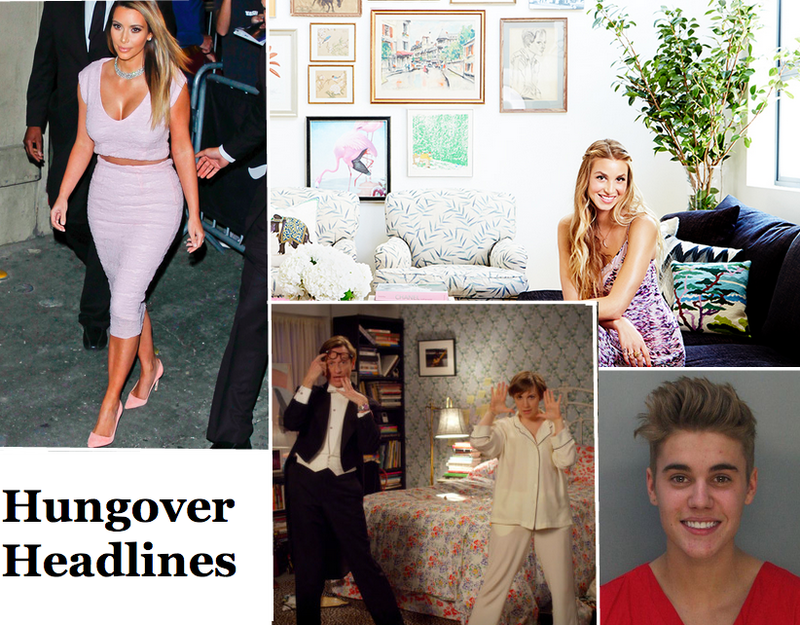 This entry was tagged Hungover headlines, Kim Kardashian, Lena Dunham, Whitney Port. Bookmark the permalink.